– DURABILITY. Right now, it is not uncommon for many toddlers or other youngsters to be seen on their parents iPads. It also is not uncommon for college or even high school students to have their own for educational purposes. I know that if I were a parent, I would NOT want to buy my 16-year-old an iPad. They’re expensive merchandise that can break pretty easily and rank up a hefty repair price very easily. – EDUCATION. While on the topic of students using iPads for education, I did some research on iTunes U and how it could very easily change the world of education. I believe iPads could play a very large role in this as well. If Apple could create some sort of iPad (perhaps the Mini, if it is cheaper and durable) that works well with students/teachers (Maybe certain features? New Apps?) it could change the world of education. It could easily go hand-in-hand with iTunes U and suddenly be in classrooms across the nation. That would certainly make Apple proud. Bottom Line: An iPad Mini is unnecessary. Maybe Apple thinks the market is getting bored with bouncing back and forth from iPad to iPhone and thinks they need to introduce something new. But if that’s the road they want to go down, maybe they should put more energy in perfecting AppleTV and creating new, innovative ideas. 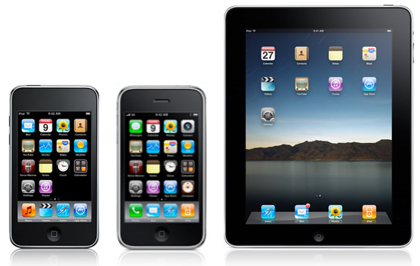 Not just downsizing something that already has 3 devices that can (more or less) do the same thing. So what do you think? Is the iPad Mini a necessity or not so much?